A big thank you to Kamloops Kia for the excellent help that we received in buying our car . We recently purchased a 2015 Ford Escape from Kamloops Kia and were blown away with the outstanding service we received from the staff. From the owner Steve to the service manager Gordon down to the salesmen Richard and Justin and financial help from Judge, every step of the purchase was handled with the highest level of professionalism possible. We. 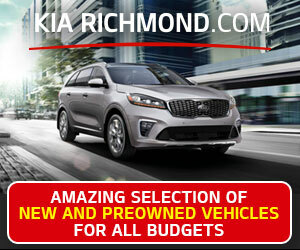 Are extremely happy with our vehicle and would recommend everyone to buy a vehicle from Kamloops Kia. When negotiating the purchase of my 2017 Sportage , I asked if a problem would take all day if I would get a loaner to return to Clearwater and return the next day. I was told yes!! My wife remembers me asking this question. When I was in on Nov. 15 I was told this was not possible as their insurance does not cover a loaner leaving Kamloops. If the salesman had been truthful I would not have bought a vehicle from them. I will never buy another Kia. I will never recommend this dealership. After about three days of going back and forth they excepted a final price for the car. The next day they informed us they could not sell the car for that price. They did not care that it was a legal contract. The sales team was extremely unprofessional, made us feel stupid, and basically told us to shop elsewhere. They yelled at us on the phone, and made buying a car a very stressful experience. This dealer has lost all future business from us, and anyone we talk to. I would strongly advise you shop elsewhere for a vehicle. "Watch out for Judge in Finance Dept." He rushed the paperwork for good reason. He added a finance charge for a loan we already had with the SAME bank....we even drove to get our downpayment out of our own bank cause HE said the financing with him made no difference. Do we sound stupid? Maybe...but go and see if it happens to you. We went in careful and came out happy with our vehicle. That trust made him a mere $567 fee for the dealership and lost any future business from us or anyone we talk too. Did it break us...no, but that type of business practice is dirty. Did we call and offer him a chance to correct this? Yes we did but he just smuggly replied (rightly...its all legal) "what can you do?" Yes he rushed right past that fee for a loan we already had with the same bank. Hmmm why? Bad practices show up in odd places. Any dealership can be awesome when they want to sell you a vehicle it's the after sale service that you receive that keeps you coming back. We needed some follow up work done on our new optima (adding accessories) while Kamloops Kia had sent our car out for the work, they kept us informed of the progress. There was an issue that was not in their control, but dealt with it and had our vehicle back in time for our vacation. Because the work was not completed Gord and Dan found other alternatives to having the work completed properly once we were back. Within 2 days of our return we were called to book the appointment and have the work completed. Kamloops Kia provided us with a vehicle so we were never stranded. Every person that have had the pleasure of talking to on the phone has been wonderful and amazing. We have been a Ford family for many years and with continued after sale service like this we will be Kamloops Kia customers for life. i was decieved into signing more onto my loan. i made it abundantly clear my Girlfriend is just as much part of the decision as i am. and instead of heeding her refusal for all the extras i naively signed for them assuming they respected her decision. (i was a unaware they were told no till we looked over the contract) a clear disrespect of her power in this decision. simply because its all in my name doesnt mean my wish to include her in the decision making should be manipulated. i trusted them because they treated me so well with the first car i got from them. i dont blame the salesman. Spanny was awesome. truly looking out for our interests. past that point it became dollar signs for the dealership. The car is worth 28,000 and the lian ended up at over 60,000 so i paid 40,000 extra for a car. and now im stuck with 40,000 dollar iniquity i cant get out of. I'm stuck with a car i cant use because of financial strain this put me in. and there is nothing they can do about it. the OWNER even went on to say that 80 dollars less to pay to this car wouldnt make a difference to try and make me feel better about their lack of explanation of how on earth they tacked on 40,000 dollars on top of my car. it was my first time doing a trade in so i knew nothing of inequity and how it worked. yes i neglected to look at the contract in blind trust to them. yes i neglected to check it all out afterwards to take advantage of the limited time. i had to cancel certain things. the whole time telling me its a steal. its such an awesome deal. i blindly trusted them and was put in a hole i cant get out of. and they KNEW i planned on moving to Victoria. so now its even more of a hassle to try get anything done. how convenient for them. one theme i had during the whole time in kamloops is nothing but people trying to take advantage of me. and the one place i trusted not to try and ruin me is this place and they did so anyway. speed reading through the contract. rushing the signatures and initials. taking advantage of the lack of my girlfriends presence. you can trust the salesmen but be careful of the finance department. they seem to be okay with putting 40,000 of pretty much nothing onto your loan. Even the banks are astonished at what happened to me and my girlfriend. they tell us they feel bad we were swindled into this wreck.